Many homeowners with more than one home – and rental agencies with an extra property or two – often find their surplus buildings difficult to rent, sell, or otherwise make use of. A given property may, for a variety of reasons, be unfit for long term rentals. However, many property managers are finding that short-term rentals are an ideal solution for getting a substantial return on a property that defies other forms of monetization. If you have a property that you think would be ideal to rent short term as a vacation space or as a B&B, here are the seven steps to develop your own short term rental (STR) management business. Some areas have zoning laws that prohibit offering portions of a house for short-term rentals. Before you get too far along in the process, make sure you are setting up your STR in an area where it is legal to do so. It would be wise to speak to a real estate agent about the profitability of setting up your STR in a given neighborhood. Find out what tax implications apply. After you determine what expenses you will incur, decide whether or not you can raise the property to a level of luxury for which you can charge enough to make the venture worthwhile. A house that can be converted to a triplex is generally ideal for short term rentals. You want to be able to create a home-like space for your guests with all the amenities, and a triplex is usually best for this purpose. Like a B&B or a Hotel, your STR will need on-site management to run properly. This is part of the reason why a triplex is best — you want to be able to manage on a continual basis without being absent and without being right on top of your guests. You will need to completely furnish the space with refrigerators, quality furniture and a washer/dryer. You will also need to set it up in such a way that gives a welcoming impression that is still businesslike. Assemble a welcome packet with information on the amenities you offer, any interesting facts about the building, as well as information about local attractions. Have your property listed in as many vacation home rental sites as possible. For security reasons and convenience, it is best to accept payment through a portal service. 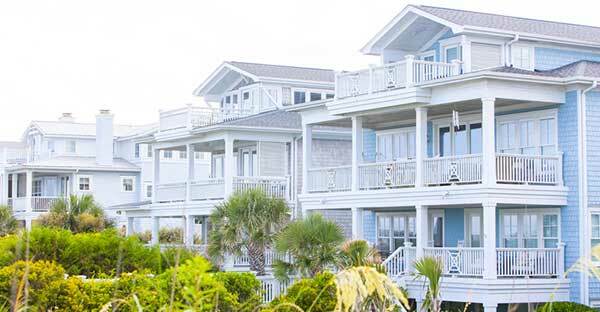 The vacation home marketplace makes it easy to set up a payment portal. In most cases, you will never handle cash, which is ideal. Knowing that your guests don’t assume you’re holding a large cash-box makes it much easier to provide service with a smile. After a while, if your business is going well, you should be able to invest in a second triplex and expand your enterprise. By this time you should know enough about running a short-term rental business that hiring and training a manager for your second building will be well within your capabilities.